I could have gone with Zenith. Either way, we be done. So, how was the A To Z Challenge? I was planning to write 30 posts anyway, 4 more than required by the challenge. No extra stress there. The letters gave me a framework instead of having to bash around in my head for inspiration. I did posts that I never would have done otherwise: A-list, Ivy League, Hashtag. For others, I jimmied the titles to fit posts I had already planned: Georgia, Hashtag, today. Now that I had the framework, could I come up with a idea for each letter? I’m looking at you, Q and X. Then I had to wonder if the idea in question was bloggable or did it just match the letter? I would probably have written more about my activities of daily living this month if I had not been constrained by the letters. Whether that is good or bad, I’m not the one to judge. Would I do it next year? Probably not for Rodney’s Saga. Maybe for Off Topic, if I’m still blogging [Planning*]. That would mean 30 regular Rodney’s Saga posts with the addition of alphabetical, near-daily Off Topic posts. 56 posts. That would be a challenge. Used thumbnail versions of the letter badges instead of full-size ones. They really are quite bold. By the time the switch occurred to me, we were at G. I went for consistency over convenience. I badged each post because the sidebar changes over time. Now these posts are forever marked as AtoZ posts. 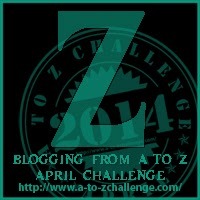 The second goal of the A To Z Challenge is to visit X number of other blogs also doing the challenge. Despite a late rally once I had the last few letters scheduled, I failed at this for any reasonable value of X. I’m a bad blogging community supporter, this month and every month. One side effect of being a freelance writer as well as a daily blogger is that after a little paying work and a lot of blogging work, my psyche needs to look at something other than a computer screen. Does It End Ok: A Blog For My Mother. Short to hyper-short reviews of movies that tells whether the movie is an upper or a downer. Us sensitive types appreciate not being surprised. Despite being an Browncoat sympathizer, I refused to see Joss Whedon’s Cabin in the Woods until someone told me what happened. On the other hand, recommendations are worth the electrons they are printed on. For example, I read both a blogger and a web comic religiously. I like the writing. I have stolen borrowed liberated ideas/administrative tips for my blog. You would think that our tastes would coincide. Not so much. The authors/bloggers or web comics they recommend bore me to the point that now avoid what they extoll. In other words, I like these two blogs. Your mileage may vary. *Truly, I have no wish to stop blogging. I just see myself running low on ideas. Unless the universe provides further content. Happy content. The kind that is less interesting to read but more fun to live through. Shiny. …and caught up! Whew. Use wiki for movies. I am a freak, and read the wiki page for every book I read prior to reading. No kidding, but I really do need to know how things are going to work out before I start. I like how you ended the challenge with pluses and minuses plus a final reflection on the entire process. I agree about it giving us a framework and stretching our possibilities. I also found it exhausting, which is ironic because I usually blog every day anyway. There was just more pressure inherent within this challenge that wasn’t so enjoyable for me. Thanks for your candor and for visiting my blog during the challenge. Thanks for dropping by my blog. There were just too many blogs to read so I too failed at reading every blog. But the challenge was fun. I also struggle to keep up with the blogs on the list, unfortunately I only get online once or twice a week so time is limited for reading and posting comments. I planning to keep going with reading the Reflections posts as well as the Road Trip ones though. Ideas come .. take some time out and ponder and see the best way of proceeding for you .. good luck .. Thanks for your candid review of our little endeavor. We appreciate each blogger who participates, and especially those who take the time to let us know how we did. Thanks for that. 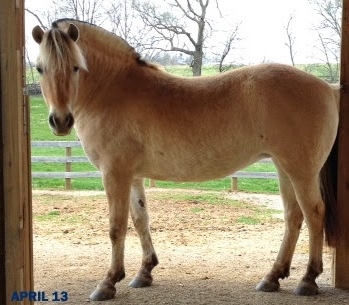 And yes, how could you not love that face?